Researchers from George Washington University recently conducted a study which found that traffic-related pollution causes millions of cases of childhood asthma all over the world. According to the study, over four million cases of asthma can be attributed to traffic-related pollution, and over 60 percent of those cases are found in children who live in urban areas. “Our findings suggest that millions of new cases of pediatric asthma could be prevented in cities around the world by reducing air pollution,” said researcher Susan C. Anenberg, PhD. 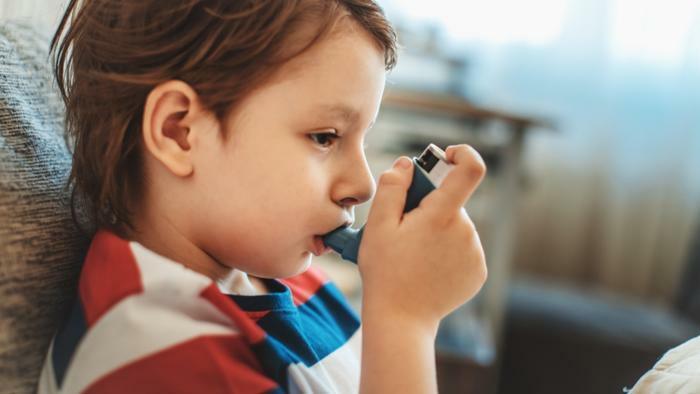 To see how traffic played a role in childhood asthma cases, the researchers gathered data on nearly 200 countries and over 120 cities around the world. The team analyzed asthma rates related to traffic-related emissions in cities and countries where there were large numbers of children. Overall levels of nitrogen dioxide emissions, which is the gas most closely associated with car exhaust, were also measured. The researchers tracked these numbers from 2010 through 2015, finding that over four million children developed asthma annually in direct relation to their exposure to nitrogen dioxide. Of the countries they analyzed, China was the biggest offender of pollution-related asthma cases, followed by India and the United States. Across the United States, cities like Las Vegas, New York, Milwaukee, Chicago, and Los Angeles took the top spots for cases of childhood asthma because of traffic pollution. According to the researchers, the cities and countries that put their citizens at the greatest risk of developing asthma were also leaders in greenhouse gas emissions, proving that residents in these places are exposed to more pollution than just nitrogen dioxide. Overall, nitrogen dioxide exposure was the impetus for 13 percent of all childhood asthma cases. Moving forward, the researchers hope that these findings inspire policymakers to make the changes necessary to improve children’s health around the globe. “Improving access to cleaner forms of transportation, like electrified public transport and active commuting by cycling and walking, would not only bring down [nitrogen dioxide] levels, but would also reduce asthma, enhance physical fitness, and cut greenhouse gas emissions,” said Dr. Anenberg. Last year, the World Health Organization (WHO) found that air pollution kills seven million people annually, proving just how dangerous these chemicals can be. Researchers have found that air pollution is increasing health problems among the youngest demographic, as the noxious gases can lead to impaired cognitive abilities, respiratory illness, and childhood cancer, among other conditions. Both air pollution and asthma were also linked to an increased risk of children developing obesity, which can lead to several other health complications later in life. However, on a more positive note, researchers have found that when city-dwelling children who also have asthma live near parks, their symptoms tend to be milder.